Imagine a model of healthcare that’s always available and driven by data, so you’re continuously collecting data from your body, about your environment, your nutrition, and activity and delivering back to you a personalized healthcare program throughout your entire life. Then, imagine having access to a global network of health experts. We’re not that far off from this. Everyday technologies like smartphones, cloud storage, and data analytics play a critical role in this outcome. Digital Health is exploding – in billions of dollars in new venture investments per year. There are 318,000 health apps available in the market – with more than 200 apps being added each day. There is a mobile app for every conceivable health need, ranging from depression and obesity to diabetes, heart disease management, telemedicine, and much, much more. Devices from smartphones to fitness trackers are collecting data every second of every day on almost every aspect of our lives. In the United States, 77 percent of Americans now own a smartphone, with a greater number of older Americans using the technology than ever before. In 2017, over half of Americans (51 percent) reported using a wearable fitness tracker at least once a day. 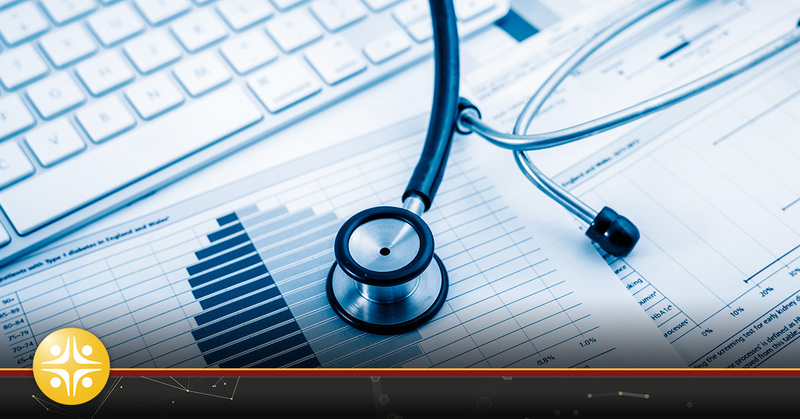 With so much data being collected, how can physicians use this data to improve health outcomes for patients? In 2017, the International Data Corporation found that the global wearables market increased 7.7 percent in the fourth quarter, while the overall growth in the market was 10.3 percent for the year. With the massive adoption of fitness trackers, data such as heart rate, sleep patterns, and fitness details are being collected for millions of people daily. Doctors say this kind of data sharing could be a serious game-changer. To date, it’s been a challenge to get this information to the physician in a way that it could be interpreted diagnostically. On April 30, 2018, Fitbit announced they’re teaming up with Google to help you take all those stats you’ve been gathering and put them to another use. Using Google’s Cloud Healthcare API, you’ll be able to share your health data with your health care providers. With this, your doctor could get a clearer picture of your overall health such as your body composition, metabolic rates and sleep depth among other things and even plug the data directly into your medical records. This kind of personalization will lead to better medical care. As these trackers and smartphone sensors evolve, and new kinds of medical grade sensors are built in, they can do what some targeted wearable medical devices (such as blood glucose meters and cardiac monitors) can already do: Things like checking your breathing rate, blood oxygen, skin temperature, stress level, and different types of brain activity. Data from wearables is now being used in clinical trials, and even beauty firms are getting in on the wearable act with a UV sensor to help protect against skin cancer. While the technology of patient-driven data is exciting, the smart wearables in the market today haven’t been universally adored. Many who have come to own these, have also been quick to abandon. The average user simply does not want to continually measure, examine and evaluate their physical data. For all these devices, there must be this back-end that gives the patient the useful kind of information that they want from that device, and when they need it, not just arbitrarily. And the information must be sharable. As technology use increases among the U.S. population, it is vital to harness the capabilities that greater tech adoption provides in order to enhance physician-patient engagement. Are you a provider who is interested in the application of technology and healthcare? If so, contact the healthcare recruiting experts at MedSource Consultants. At MedSource Consultants, we work with physicians and advanced practice professionals to find the best professional placement for their careers now and in the future.